With the nights drawing out and some bright, sunny days that suggest spring is on it way we have been receiving plenty of entries for our 2019 Open competitions. So much so that the Ladies' August Open is already full - sorry about that but to avoid disappointment you need to get your entries in early. Our other Opens still have places available but don't delay or you could miss out. The competitions represent great value as you pay less than a weekend green fee and not only have 18 holes of golf but also a meal afterwards - plus the chance to win some attractive prizes. Go to Visitors/Open Competitions and click on the link to download an entry form or go to Diary and the appropriate date to enter the competition online. Thetford has long been regarded as one of the best winter courses in the region. The heathland course is free-draining and is often playable within minutes of even the heaviest downpour. Our policy is to play on main greens and main tees whenever possible and the course is only closed on average for five-or-so days per year. And you can wear light-coloured clothing without fearing the laundry bill! It is a terrific challenge for golfers of all abilities. The long par-fours take some reaching in winter when there is not too much run but the par-fives offer the chance of gaining a stroke - as long as you are not too wayward. The four par-threes are crackers - and every now and then they blow up in your face for a surprising high score. Try it for yourself. We welcome visitors and encourage you all to take the chance to play a classic James Braid layout. If you wish to book a tee time, go to Visitors/Book a Tee Time. Societies are also most welcome - go to Visitors/Societies for details. Founded in 1912, Thetford Golf Club is a classic James Braid designed heathland course and reputed to be one of the finest courses in East Anglia. Individuals, groups, visitors, golf societies and corporate clients will all discover a genuinely warm welcome, excellent golf facilities and fine hospitality. Our challenging course is set in the magnificent Breckland Forest area of East Anglia. Thetford is covered in pine, oak and birch trees - there is an abundance of scented gorse, broom and heather that will greet those who venture too far from the fairways. 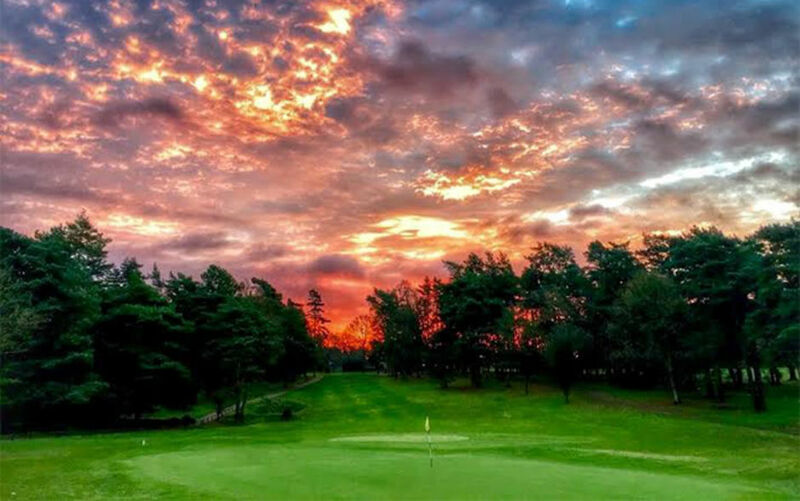 We have a vastly experienced team of greenkeepers who are dedicated to making the experience of playing golf at Thetford Golf Club both memorable and pleasurable for members, their guests and our visitors alike. Our administration staff welcome all inquiries and will make it easy to plan your visit. We pride ourselves on providing a friendly and hospitable service of the highest quality, both on the Course and in the Clubhouse. We can provide whatever catering you may require, whether as a society or group or as a four-ball or individuals. We also have a first class professional shop with expert instruction available, offering all that you need to improve your game.